Fruity and wonderful and is pretty mad at a certain other tea that insists that he can&apos;t be chained down to one tea, but who&apos;s about to be chained down and have his rear end beaten if he doesn&apos;t realize that you can&apos;t always get what you want. 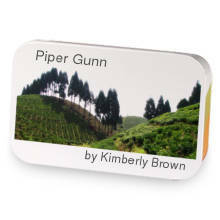 Mi Hi has hooked up with Piper Gunn. Love Mi Hi? This is just one of 7 teas in this fandom. Check out the whole series.